I attended this game as a media member for Flyer News. The story published on FN, however, focused more on my experience in the press than the actual promotion and game. This version of the story focuses on what I came to report. 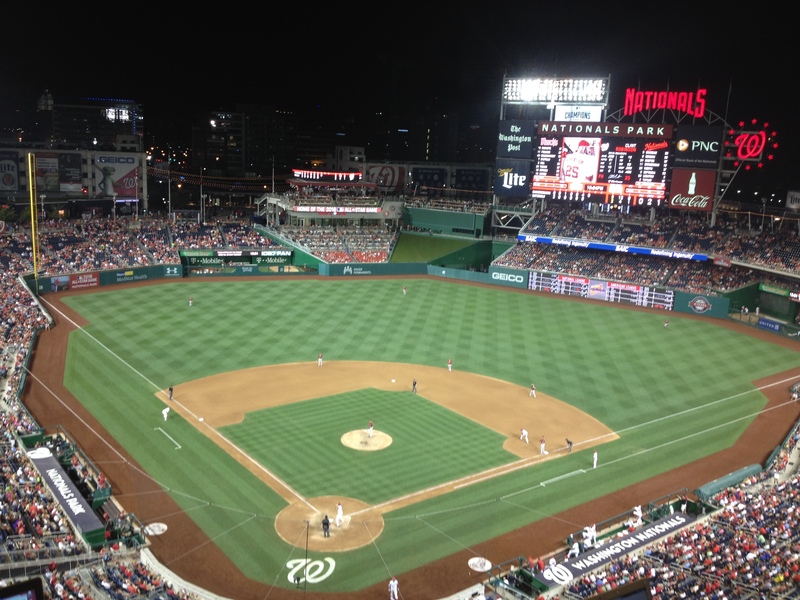 A sea of red-shirted fans protruded from the center field gates of Nationals Park in Washington, D.C. on August 5, 2015, an ordinary weeknight baseball game. Though, this was hardly an ordinary night. 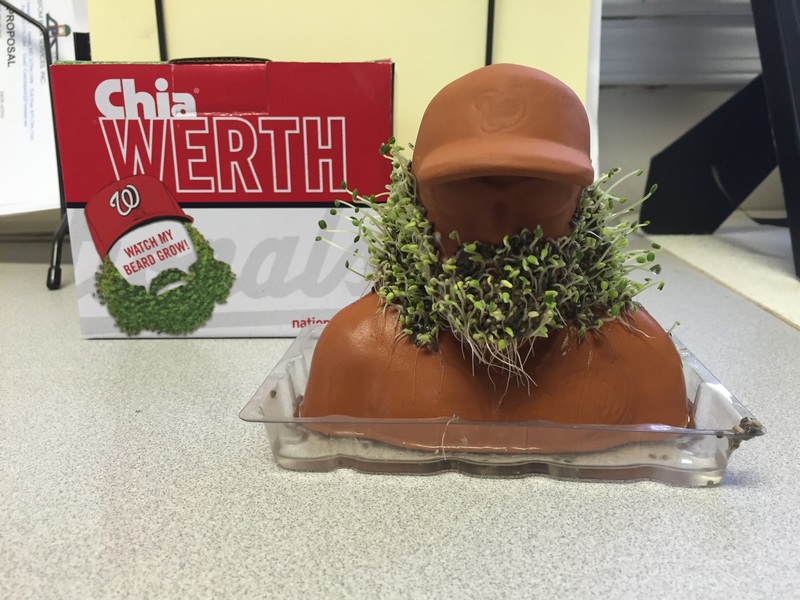 The Washington Nationals were giving away Chia Pets in the likeness of fan-favorite outfielder Jayson Werth to the first 20,000 fans in attendance. It was an unorthodox promotion to say the least. I strolled towards the gates with Paul Fritschner, who was my source for the Werth garden gnome story I did in the spring. “It’s a big crowd, but not nearly as big as last year,” he told me. The “last year” he was referring to was exactly 365 days prior when gnome-ageddon swept over Nationals Park. The garden gnomes drew a sellout crowd. That day, an unprecedented number of people lined up before the gates even opened to ensure they could get their hands on a gnome. In fact, some of those same fans turned around and listed their gnomes on Ebay—routinely drawing in more than $100 per. I contacted the Nationals during the summer to see if they could credential me for the Chia Pet game, after all the Nationals do have Dayton alumnus Craig Stammen. They were gracious enough to give me access as a media member, so I took to the park in hopes of experiencing the vibe surrounding the unusual and popular giveaways. “All I have to say is that the Nationals have the greatest marketing team in Major League Baseball,” Fritschner told me. After Nationals Park opened in 2008, the team struggled to attract fans amidst 100-loss seasons and lackluster lineups. But as Washington’s young prospects came of age and the ownership splurged on veteran free agents, the baseball tides turned in the district and Nationals Park became a hopping destination and home to a winning club. All the while, the marketing team pushed to make the stadium experience for fans as memorable as any in Major League Baseball. 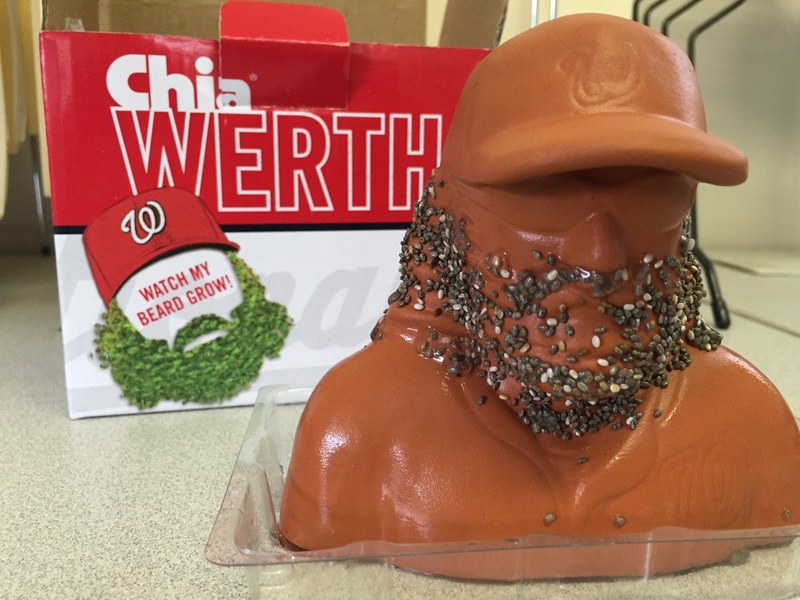 Following 2014’s gnome success, Washington decided to one-up themselves and create the Chia Werth. A Chia Pet, by the way, is a ceramic bust that sprouts grass in place of head and facial hair. This season, the tenth anniversary of the Nationals’ move to D.C., the Chia Pet is just one of the many unique trinkets being given out at Nationals Park. A slate of bobbleheads commemorate the greatest moments in Nationals history, and player nesting dolls are also featured on the promotional schedule. The Chia, however, was far and away the most unique of givewawys. I entered the stadium and ascended to the press box, gazing towards at the outfield seats where the most eager of fans had congregated to watch batting practice after procuring their Chia Pets from the park’s entrances. It was just after 4:30 p.m. and the first pitch was not scheduled until 7. I headed downstairs to the field, utilizing my media privileges, where I talked with a few fans and broadcasters about the promotion. “I’m growing it as soon as I get to work tomorrow,” Billy Armstrong, and excited Nationals fan, told me. Armstrong said that he had owned Chia Pets growing up and was thrilled to see one given out at Nationals Park. He did indeed, begin growing it immediately as he sent me pictures in the following days. Dave Jageler, a radio broadcaster for the Nationals, also commented on the Chia. Werth’s character and appearance provide great marketing material as he is a free-spirited, unshaven and popular individual. Several other Major League Baseball clubs attempted to capitalize on the Nationals’ trailblazing giveaway by creating their own player gnomes this year, but none reached the viral success that Werth’s did last August. 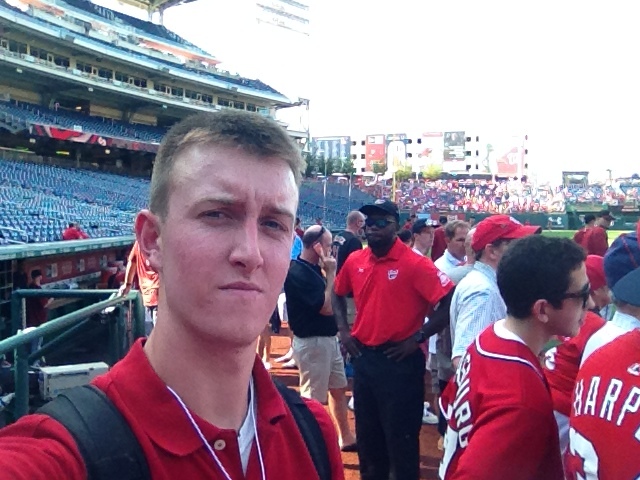 By the time first pitch rolled around, Nationals Park was buzzing to the tune of 37,000 fans. The park seats 41,000, so the Chia Pet fell slightly short of the gnome in terms of popularity. Nevertheless, Washington fed off the energy in the bottom of the first inning with two quick runs to jump out to an early lead. As the game dragged on, however, the visiting Arizona Diamondbacks knocked out Gio Gonzalez and feasted on an underperforming bullpen. By the end of the night, the crowd in Washington’s ballpark was merely a shell of its prior self. As the Nationals’ offense stumbled and the team fell behind by as many as nine runs. The fans exited and transformed a rocking red spectacle into a placid blue sea. 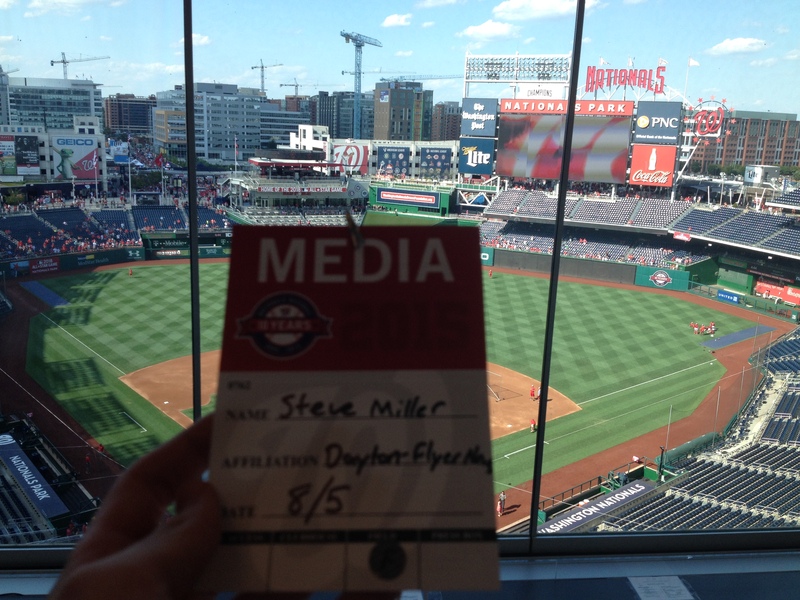 And the Nationals themselves were back to where they started when the stadium opened in 2008. Garden gnomes and Chia Pets may get fans in seats. But it’s the wins in the scorebook that keep them there. August has been a downward spiral for the Nationals, who were deemed by experts the World Series favorites before the 2015 season began. After holding a lead in the National League East division for much of the season, they have fallen behind the New York Mets, and are now in danger of missing the playoffs altogether. The Chia Pet, like the gnome last year, was supposed to be icing on the cake to a winning season. Rather, the silly promotions are dim thoughts at the back of disappointed fans’ minds, and can do nothing to remedy poor on-field performance. It’s a real shame because if the Nationals had been atop the standings this year the way they were on August 5 of last year, I think the Chia would have garnered a lot more attention and the promotional craziness would be likely continued in 2016. Right now, though, the attention in Washington is drawn towards the poor performance of the team over the last month. I hope that, regardless of this season’s outcome, the marketing team will cast that aside in the off season and let their creative juices flow once more.